The 2010 Canadian Roller Speed Skating Championships are complete. Jade Pauley, Sarah Hopkins, Brett Leavens, & Paisley Perrie and Mackayla D’Mello were winners in their respective divisions, with some of these skaters setting new records and even re-writing the record books. Results, World Team & Pan American Championships Team information will be posted later. Canadian short track speed skater Olivier Jean placed third in the Chicagoland Inline Marathon this past weekend. Jean, who won Olympic Gold in short track speed skating at the Winter Olympic in Vancouver, fell early in the race. He managed to catch up to the lead pack despite the pack racing at a blistering pace. Switzerland’s Roger Schneider, World Record holder in the marathon distance, placed 4th. Other Canadians who placed well include Cambridge’s Jesse Pauley and Toronto’s Leo Frusteri who both finished with the lead pack in 7th and 8th place. The Chicagoland Inline Marathon was part of the Rollerblade Inline Tour, featuring a sprint race on Friday, time trial and points race on Saturday, and culminating with a marathon on Sunday. On Sunday, August 15th Surrey Place Centre will be hosting its annual GetInline – Toronto’s walk and inline skate for people with developmental disabilities. This event helps raise funds to enhance programs and services for people with developmental disabilities in order to enable them to live to their fullest potential. Day 1 of the 2010 Canadian Speed Skating Championships saw a number of records set at the Okotoks track near Calgary. Harriston’s Paisley Perrie set Junior Women records in the 300-meter & 1000-meters. 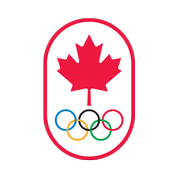 Calgary’s Alex D’mello set the Senior Men’s 1000-meter in his heat while Brett Leavens set the record in the Junior Men’s 1000-meters in the final. Sarah Hopkins won all three distances in the Senior Women’s category, including a record-setting time in the 1000-meters. Morgane Echardour placed 2nd in every distance. Leah Kaluta placed 3rd in the sprint distance while Nicole Garrido placed 3rd in the 10km points/ elimination. In the Senior Men’s side, Jade Pauley won all three distances of the day. Peter Doucet placed 2nd in the 300-meter & 10km points/ elimination while Alex D’mello placed 2nd in the 1000-meter race. Four skaters and two coaches from the Calgary Artistic Roller Sports Club attended the Northwest Regional Championships in Portland, Oregon from June 19-21. The skaters placed First in seven events and received a total of 15 placements overall. They all have qualified to skate in the U.S. National Championships in Lincoln, Nebraska from July 25-31, 2010. The following is a list of placements at the Regional event. Congratulations skaters and good luck at the U.S. National Championships! Calgary’s Sarah Hopkins & Ottawa’s Stephane Tremblay won the Canadian Championship Marathon on Wednesday in Calgary. In the women’s race, it was Sarah Hopkins who managed to claim her first Canadian marathon title, finishing ahead of Mississauga’s Morgane Echardour. Calgary’s Leah Kaluta placed 3rd. Ottawa’s Stephane Tremblay broke away early on in the men’s race and skated a strong race, winning by a margin of about 1 1/2 minutes ahead of Calgary’s Alex D’mello. USA’s Josh Wood- World Championships medalist, placed 3rd. Click here for Ana Garrido’s pictures featuring skaters from Calgary preparing for this weekend’s RSC Canadian Speed Championships.